Q: As a GP you are an expert on health and wellbeing, but how do you keep yourself fit and healthy? Dr Hilary: “I try to practise what I preach and enjoy a healthy lifestyle but I don’t do this with any obsessional forethought or planning as it has simply become a part of my way of life over many years. I eat a healthy and varied diet, and eat most things. Q: You obviously like to keep fit, having run several marathons and taken part in Dancing on Ice. Can you tell us about your current exercise regime? Dr Hilary: “I play squash with my younger brother and my second eldest son on a regular basis. I have a small gym at home. I enjoy running through the local forest near my home, and I have access to an excellent swimming pool at two clubs where I am a member. I would miss exercise very much if I couldn’t do it and if I was unemployed I would certainly be doing a triathlon some time soon. Q: As the ageing population in Britain continues to grow, would you say that the British people are paying more attention to their health than before? Dr Hilary: “We have an epidemic of obesity and type 2 diabetes and more people are finding it difficult to cope with psychological problems which they should be able to overcome. The fact that people are living longer at the moment means that they just have longer to suffer with the consequences of not looking after themselves whilst they’re young. Q: What is your opinion on complementary therapies? Dr Hilary: “I think some complementary therapies have an excellent place in mainstream medicine. I myself use osteopathy in my mainstream practice to great effect and it means that often people can remove any pain and discomfort from their spine without recourse to medicines which can have nasty side effects. I also think that acupuncture, meditation and even aromatherapy and massage have a good place whilst other so-called complementary therapies may be worse than useless. Q: You are currently working with Lepicol to educate the public on the importance of bowel health. Why is it so important to keep the gut in good working order? Dr Hilary: “Not many people realise that the gut is the seat of more than 70% of our body’s immunity and that there are central connections between the gut and the central nervous system. Q: What are your top tips for good digestion? Q: If you could give the readers of Your Healthy Living just one tip for good health, what would it be? Dr Hilary: “My one tip would be exercise, exercise, exercise. This is the very best insurance policy for future good health. 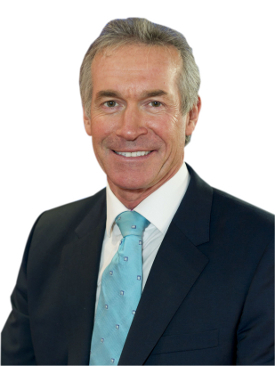 Dr Hilary Jones has been working with the Lepicol range to help educate consumers on the importance of good bowel health. Lepicol is a three-in-one combination of soluble plant fibre known as Psyllium Husks, Inulin (Prebiotics) and probiotic cultures.